For us, the new man, he is one of two things. First, he is the new worker, a man we instruct and investigate until his probation is complete. But also he is an idea. In the foundry, they make parts. On the line, they make autos. But in Sociological, we make men. 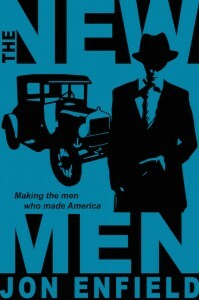 Tony Grams comes to America at the start of the twentieth century, set on becoming a new man. Driven to leave poverty behind, he lands a job at the Ford Motor Company that puts him at the center of a daring social and economic experiment. The new century and the new auto industry are bursting with promise, and everyone wants Henry Ford’s Model T. But Ford needs men to make it. Better men. New men. Men tough enough and focused enough to handle the ever-bigger, ever-faster assembly line. Ford offers to double the standard wage for men who will be thrifty, sober, and dedicated… and who will let Ford investigators into their homes to confirm it. Tony has just become one of those investigators. America and Ford have helped him build a new life, so at first he’s eager to get to work. But world war, labor strife, and racial tension pit his increasingly powerful employer against its increasingly desperate enemies. As Tony and his family come under threat from all sides and he faces losing everything he’s built, he must struggle with his conscience and his weaknesses to protect the people he loves. I was a bit concerned when I agreed to review this book. I mean, the concept and plot sounded interesting, but it had the potential to be a lot dryer than I typically prefer. I’ve never been more pleased to be proven wrong. From the opening notes, where author Jon Enfield warns us about specific spelling and dialogue choices to the very last page, I was never bored. In fact, it would be fair to say that I was riveted, because I read this book last weekend, cover to cover, in one night. We often hear about the concept of a “company town,” and I’ve certainly experienced a few: Marshalltown, IA, for example, is pretty much dominated by Fisher, and my husband and I worked in the Sioux Falls, SD campus of Gateway, back when they were a new-ish corporation. In The New Men, however, Enfield shows us the best and worst of company town culture – the progressive programs put in place to create the perfect workers, and the strictures that came with working for such a business. After spending roughly half of the last decade doing corporate blogging for auto sales and auto insurance companies, it was incredibly interesting to me to see, in this novel, how the industry began, and to reflect upon the way it’s changed. Through his protagonist, Tony, and through all the other characters in The New Men Enfield shows us, not just a version of what was, but lets us glimpse what could have been, as well. Sometimes gritty, sometimes poignant – often at the same time – The New Men is a period piece that manages to comment on contemporary culture without feeling as if it’s doing so. Taken as pure fiction, however, it’s a compelling story about people who aren’t that different than most of our grandparents. If you want something a bit toothier than typical summer fare, this novel is an excellent choice. Goes well with Baked ziti, garlic bread, and a huge salad with fresh tomatoes. 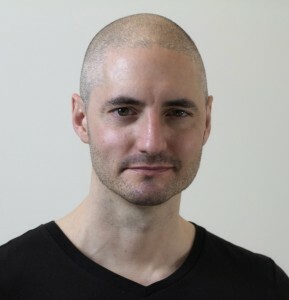 Review: the New Men, by Jon Enfield by Melissa Bartell is licensed under a Creative Commons Attribution-NonCommercial-ShareAlike 4.0 International License. Glad you enjoyed the book! Obviously we liked it. :) I think what you expressed in your last paragraph, “The New Men is a period piece that manages to comment on contemporary culture without feeling as if it’s doing so,” is exactly what the author was hoping for. Thanks for taking the time to read and review the book, Melissa! I’m glad you liked it. Thanks for being a part of the tour! I’m featuring your review on TLC’s Facebook page today.